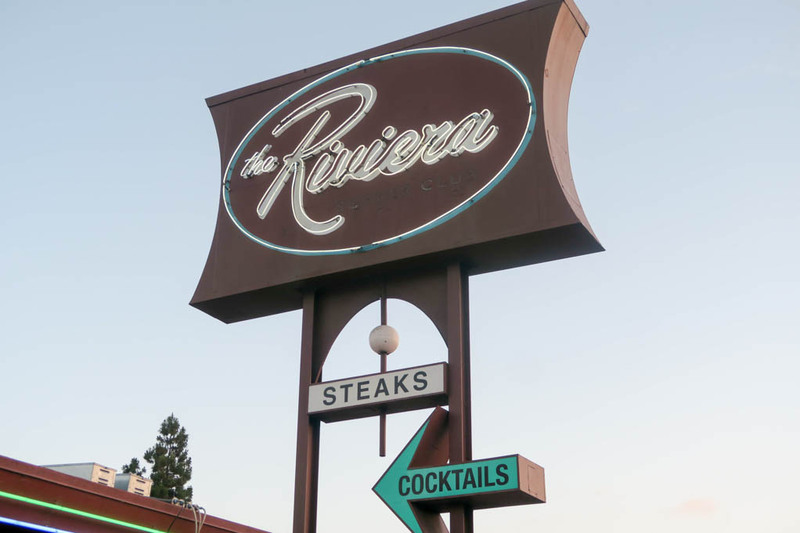 On my most recent local eating adventure, I made my way back for a return visit to one of my all-time favorite local Steak Houses, The Riviera Supper Club and Turquoise Room. This was my 5th or 6th visit to this establishment, so I knew how good the experience was going to be. I was not let down! Let’s begin this journey of “Do It Yourself” grilling and good eats local! 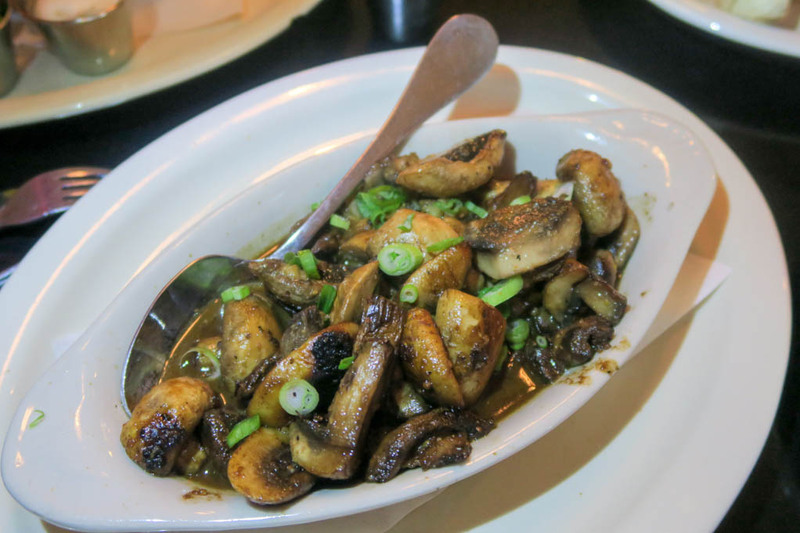 I started my gastronomic experience with three of my favorite appetizers that always deliver! The Hawaiian Ahi Poke. 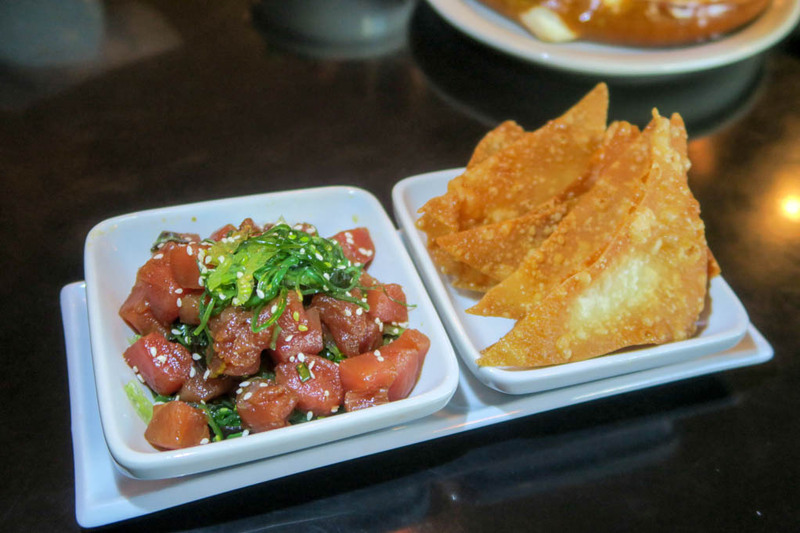 Fresh, flavorful chunks of sashimi grade ahi tossed with ginger, crushed red chili flake and garlic served with wonton chips. Bring a little taste of Hawaii to your lips why don’t ya! 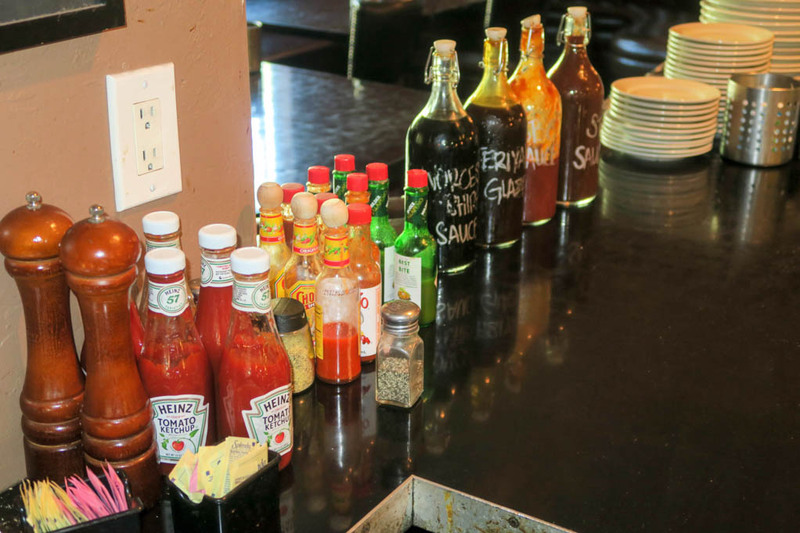 Next was my personal favorite side kick to any burger or steak meal period. 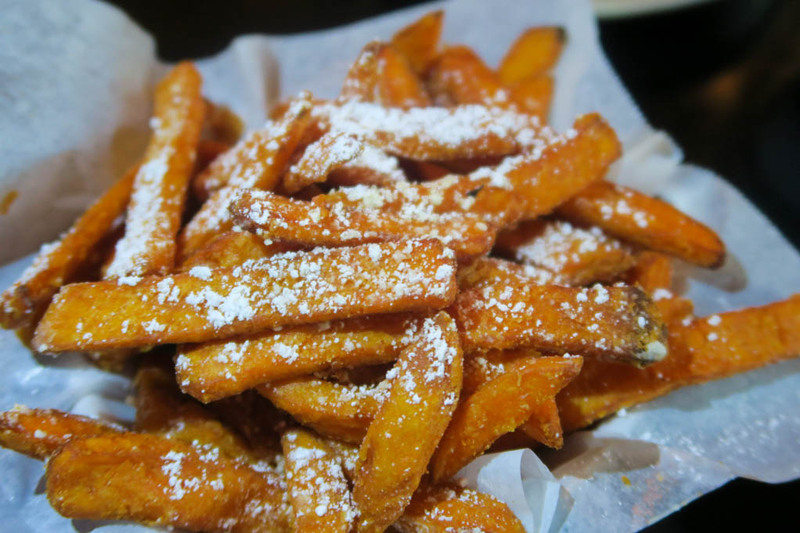 The tried and true sweet potato fry. 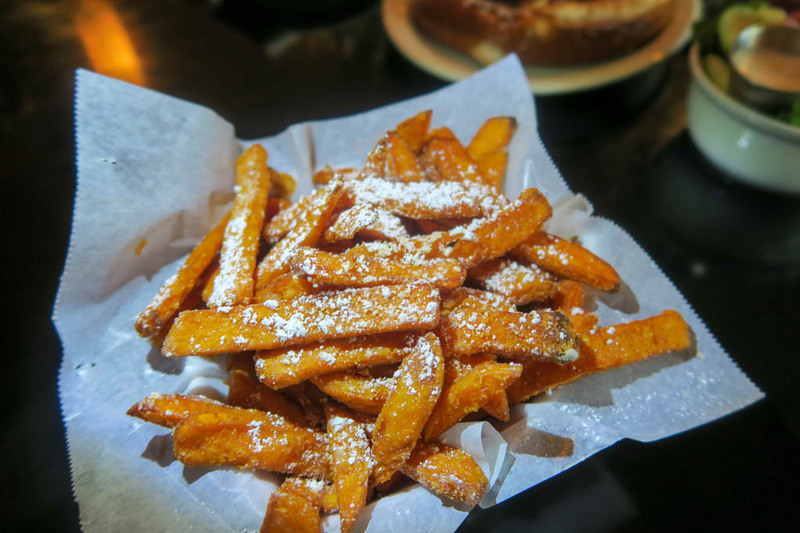 Now, I’m not a french fry guy, but I adore their sweet potato fries! However, I am picky about what constitutes a good sweet potato fry! They must be crisp, warm, firm, and salty with pure sweet potato flavor. These hit the mark on all levels! 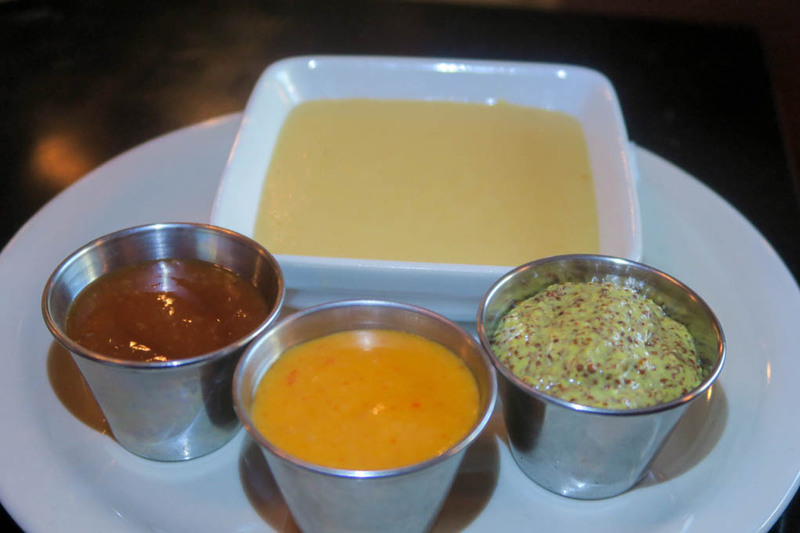 But don’t forget to use the amazing dipping sauces that come with them! Next up was another longtime favorite of mine! 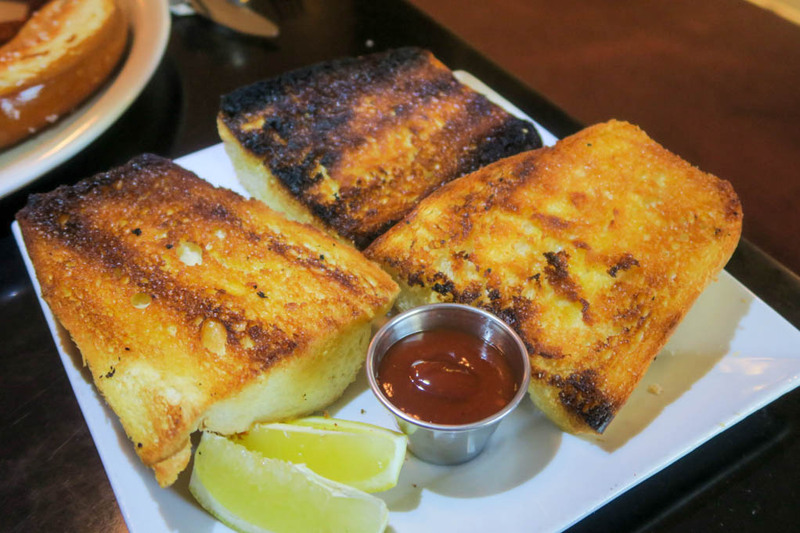 Great as a beer pairing, snack item, appetizer, or accompaniment to a great meal like this. 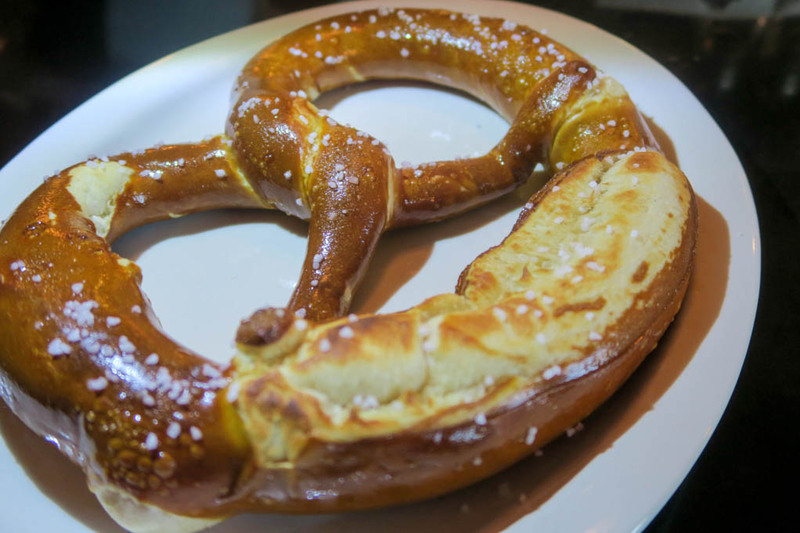 That role goes to the massive Bavarian Pretzel! Hot, soft, salty, and melt in your mouth delicious! 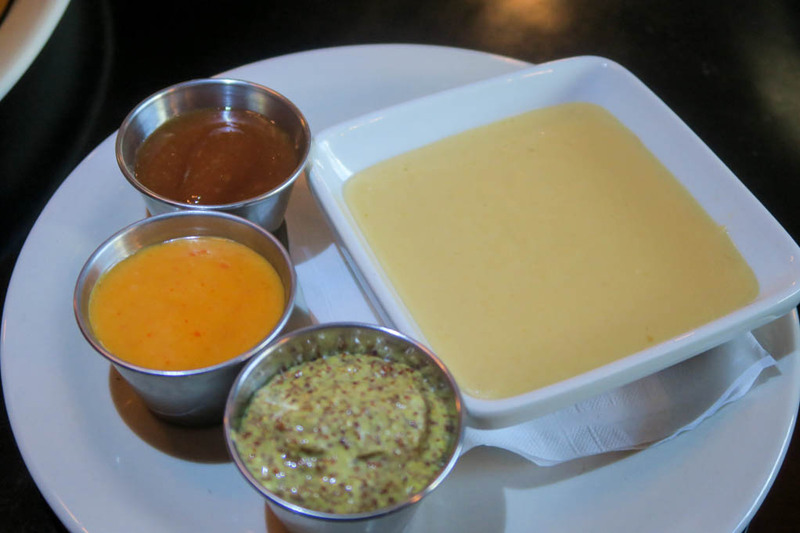 Served with an amazing stone ground beer mustard that is not to be passed on! Be careful, at 10 oz., this thing makes a meal of itself! 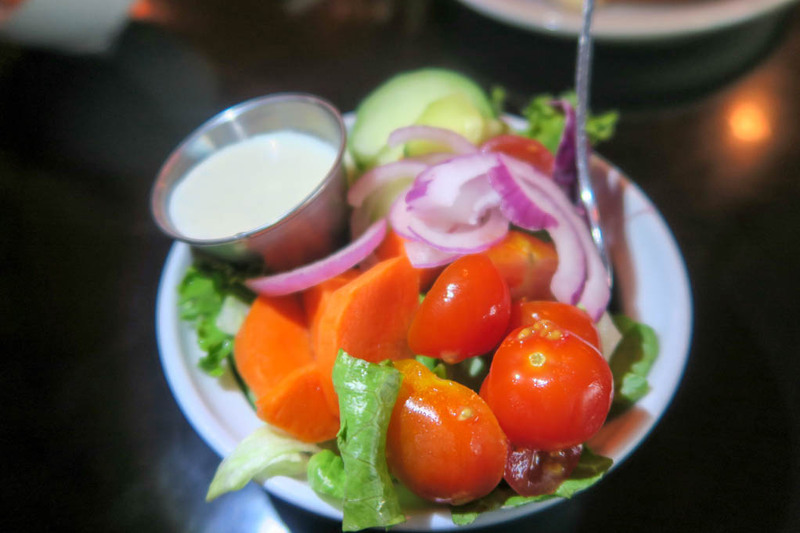 Moving onto my daily score of greens I opted for the dinner salad which was a simple, but welcoming refreshment from the previous appetizers. 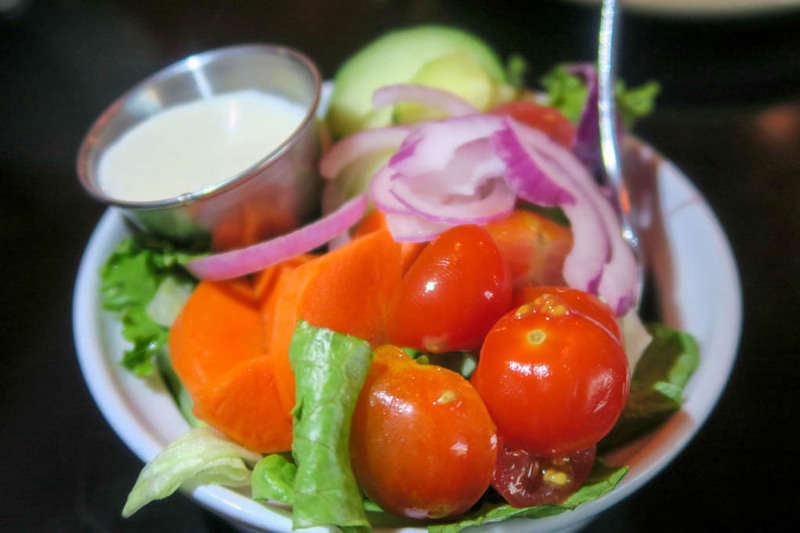 Simple, fresh combination of ingredients including lettuce, cherry tomatoes, cucumber, carrot, and red onion with tasty Italian dressing. 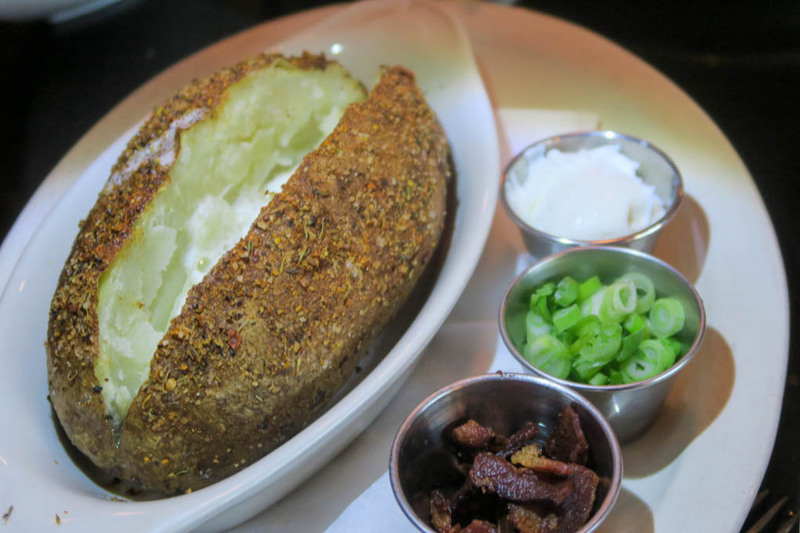 First, is the Riviera Colossal Baked Potato. Served in large portions for 2-3 people. A massive split baked potato that is piping hot. The add on items I picked were butter, chive, and chopped crispy bacon. 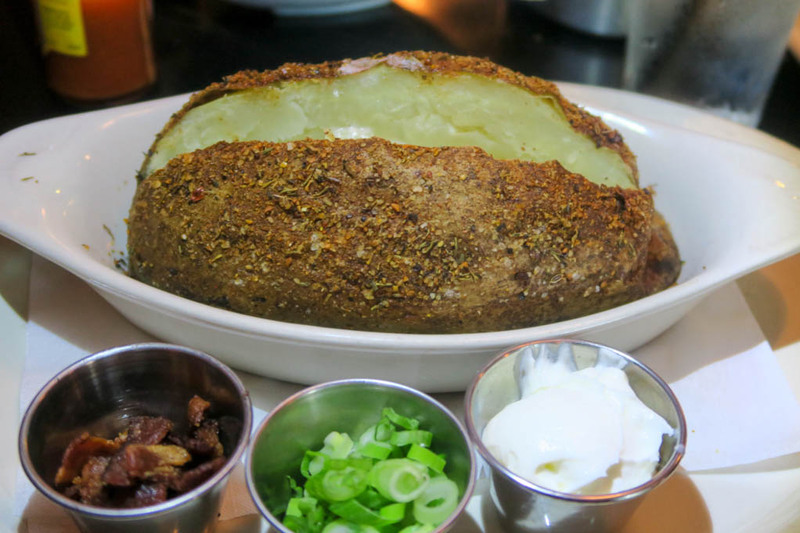 Again, pace yourself on this super spud, because you can fill up on this alone! 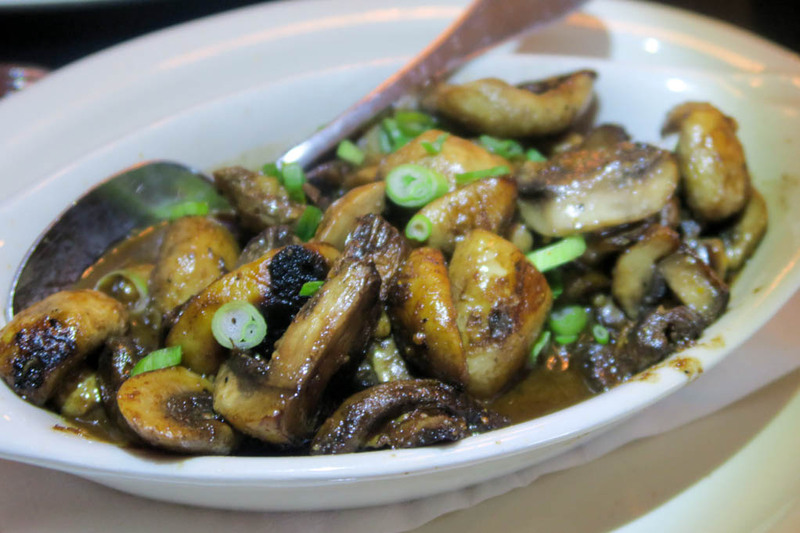 Next up—and in conjunction with my baked potato—is the amazing sautéed steakhouse mushroom dish! Mushrooms x10 is what you have here. Perfectly sautéed, exploding with steak-like flavor. These are ideal for topping a steak, or in my case, pouring over your baked potato for added amazingness! Spuds and shrooms sampled, I move to more greens. Specifically, the veggie of the day. 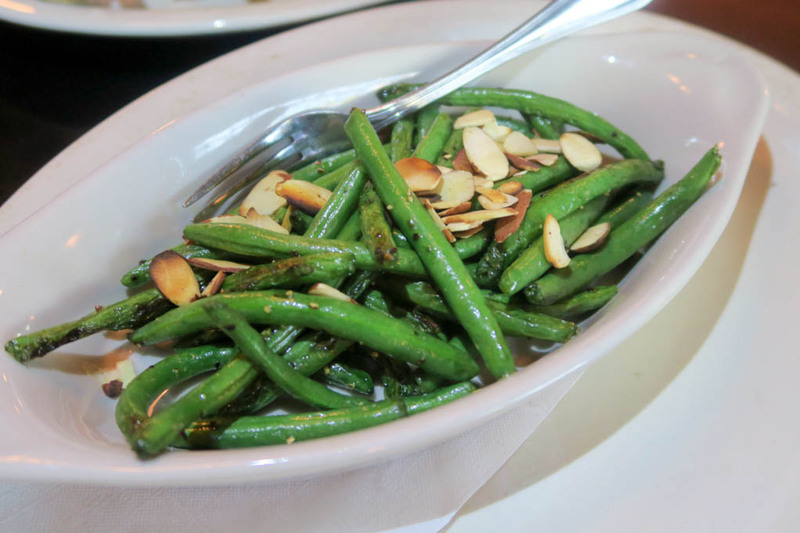 Today I got lucky and caught one of my personal favorites—Sautéed Almond Green Beans. Again, such a simple item made amazing with proper preparation. 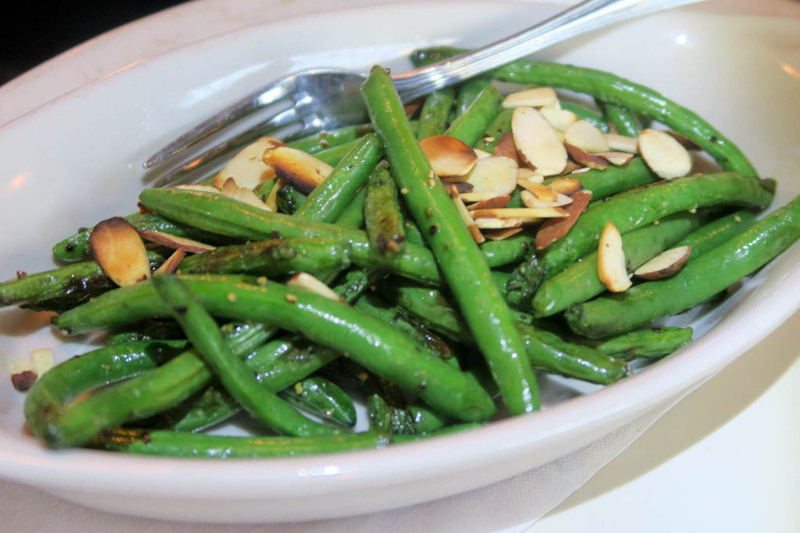 Crisp, warm, buttery, garlic green beans with slivered almonds makes this dish work oh so well! Now for the heavy hitters! Many might think it’s all about the steak! 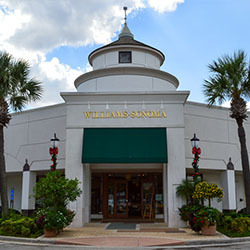 I have had my share of steaks here and all of them have been outstanding! 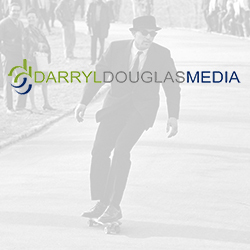 What may go under the radar, and should not be by any means, are considered by some as “second acts”. 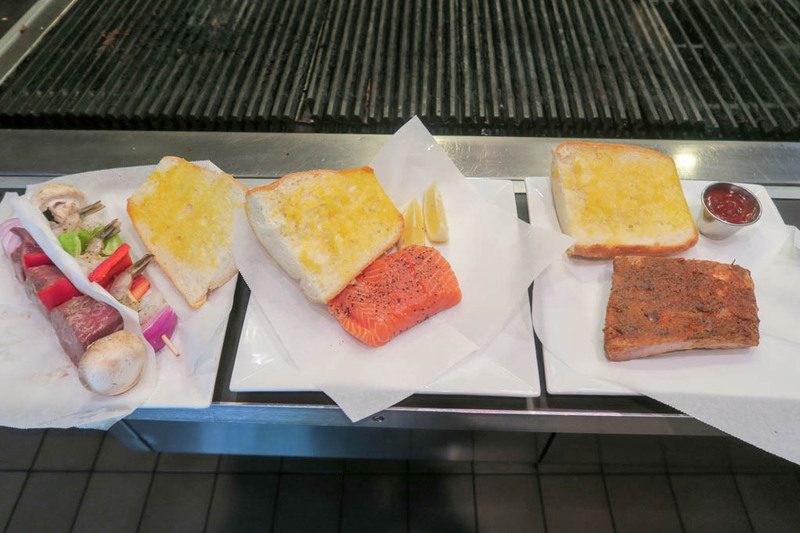 The best part of any meat or seafood you get here is the experience of grilling it yourself! 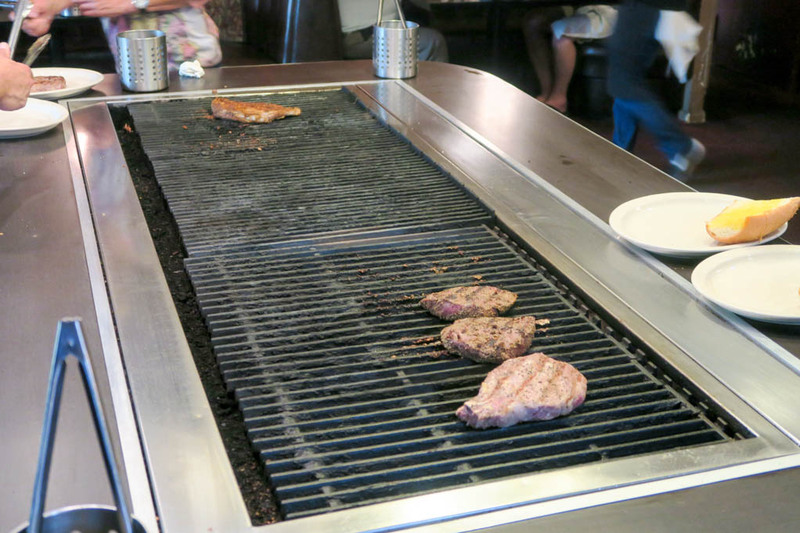 What better feeling is there than handling your own entree over a massive grill? Just the way you want it! 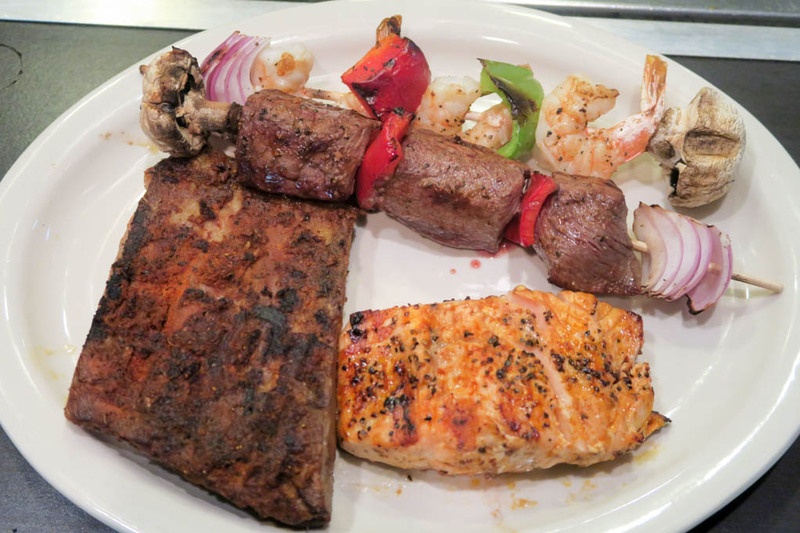 There is something so primal about throwing a big piece of meat on to a sizzling grill and eating your prize! 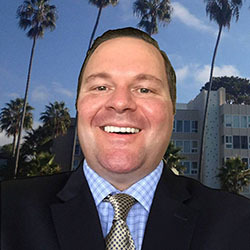 Only at the Riviera can you find this experience! 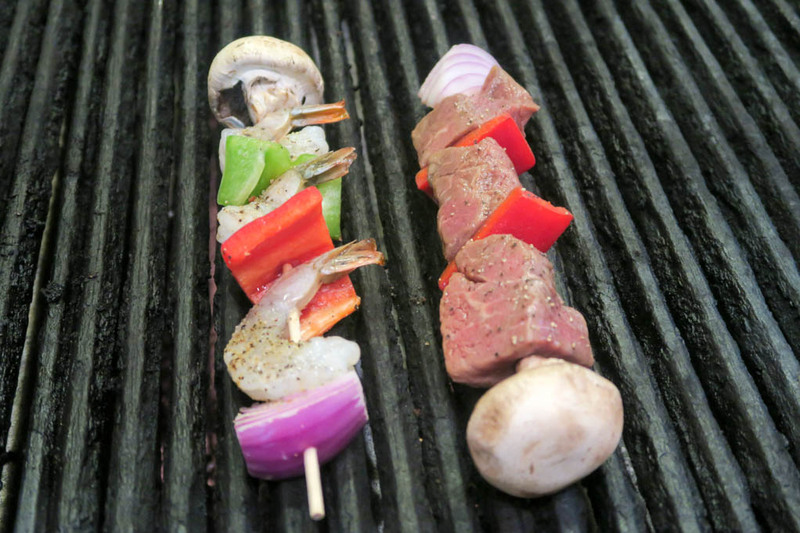 I started with my shrimp and steak kabobs. 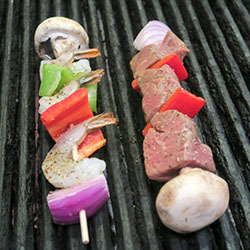 Huge tiger shrimp and marinated sirloin chunks skewered with assorted veggies ripe for the grill! 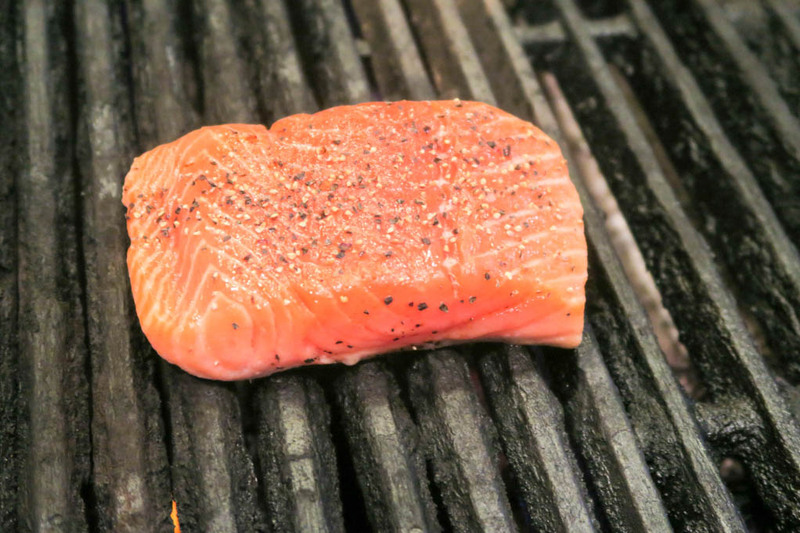 I then move to the catch of the day with a perfectly pink fillet of wild caught salmon. 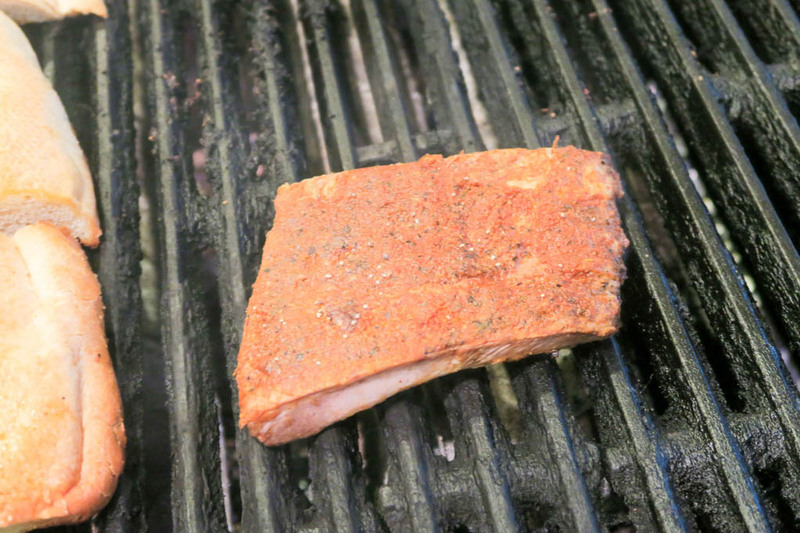 And to round out the meal, I have half of a spicy slab of Cajun rub pork ribs. 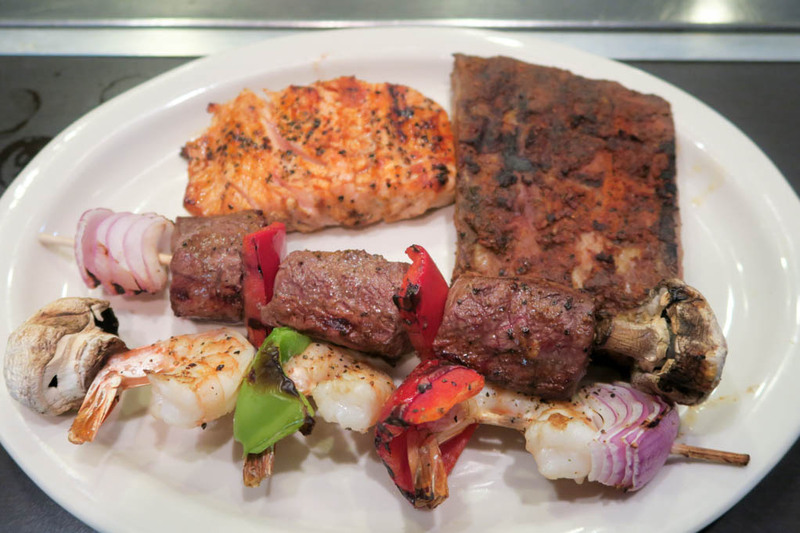 All this goes on the grill where I work my craft and bring these morsels of meaty goodness to their prime! Minutes later I am seated with hot grilled meats screaming for consumption! Assuming the grill-master (me in this case) did well at the grill, you are going to have a perfectly cooked entrée sitting in front of you. Just knowing that you made it that way brings peace of mind unlike that which you get anywhere else! Every bite of these four items was purely outstanding! 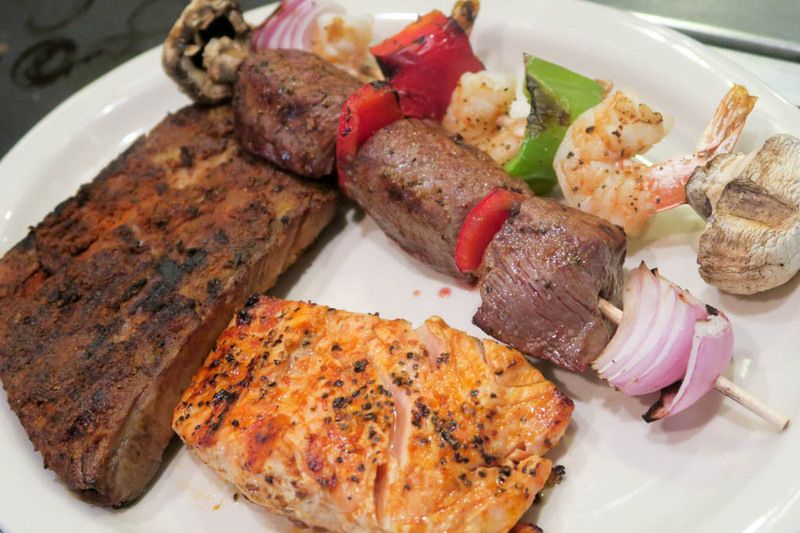 A great balance of spicy, sweet, succulent, and tender between the meat varieties. My only regret is not having a second stomach! No meal is complete without a sweet ending! Is it? Not here anyway! One would be remised to pass on any of the dessert items which are legendary! In my opinion, one stands out above all others. It’s the kind of dessert that at first glance can intimidate people! Upon first bite, it can crush all cravings of any sweet tooth period! 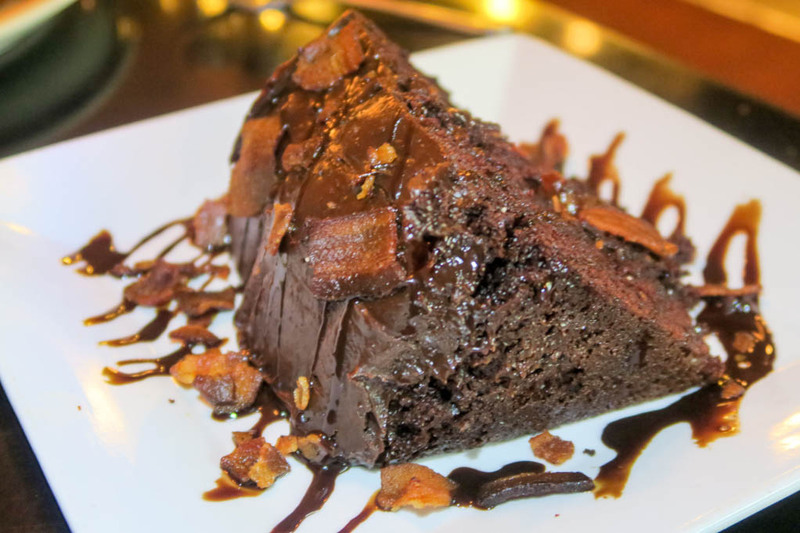 This reputation belongs to the Riviera’s signature dessert, the Bacon Chocolate Cake. 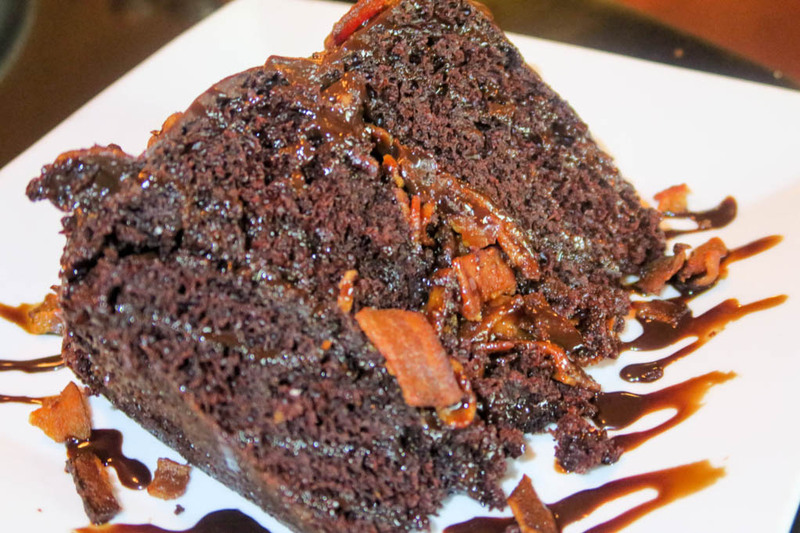 A massive slice of rich, moist, dark chocolate cake, creamy chocolate frosting, all sprinkled with diced bacon. Sweet and salty all at once. Say goodbye to your sweet tooth for a week! 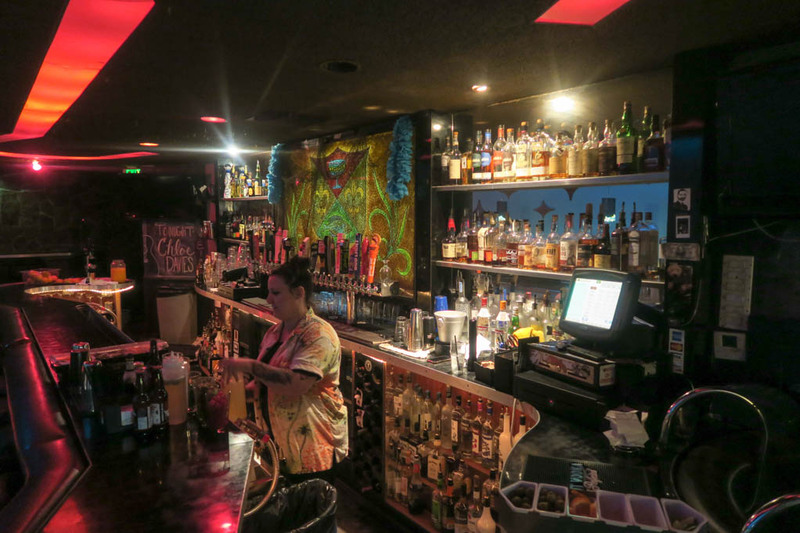 All in all, this place is a hidden gem in La Mesa! 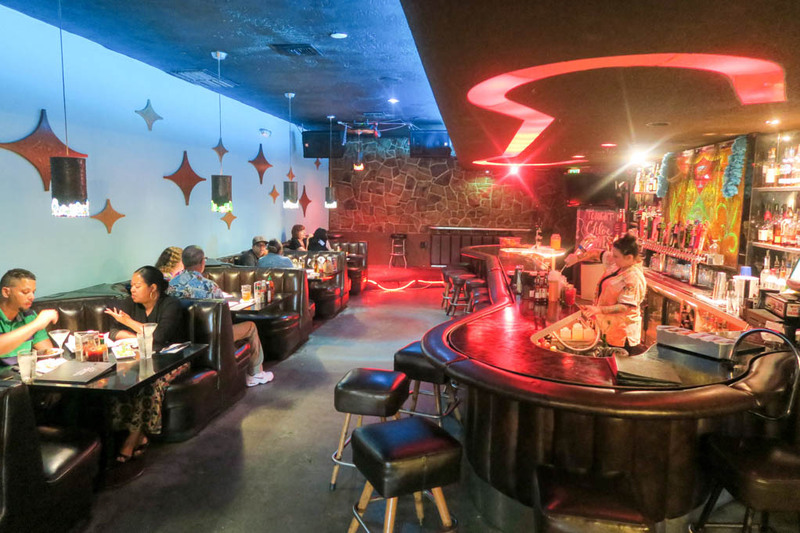 There is something about the Riviera Supper Club that makes it truly distinct! 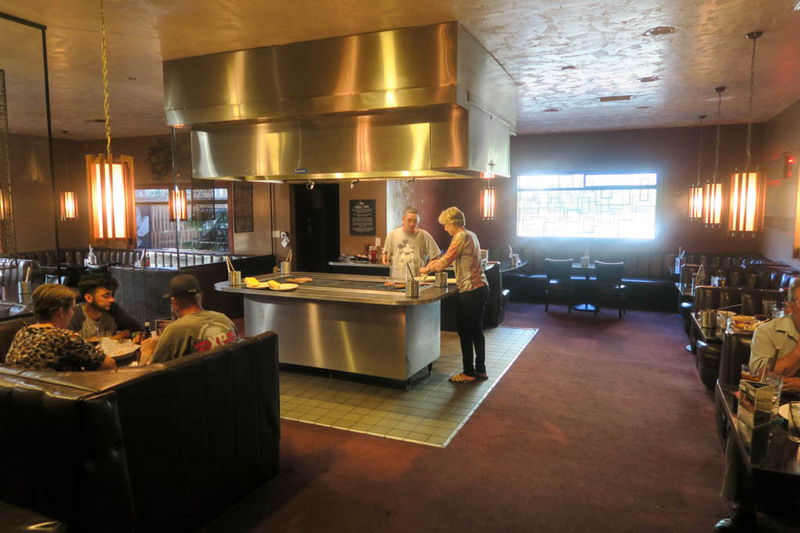 The food, the “Do It Yourself” grill experience, the staff, the vibe inside, and the legacy. 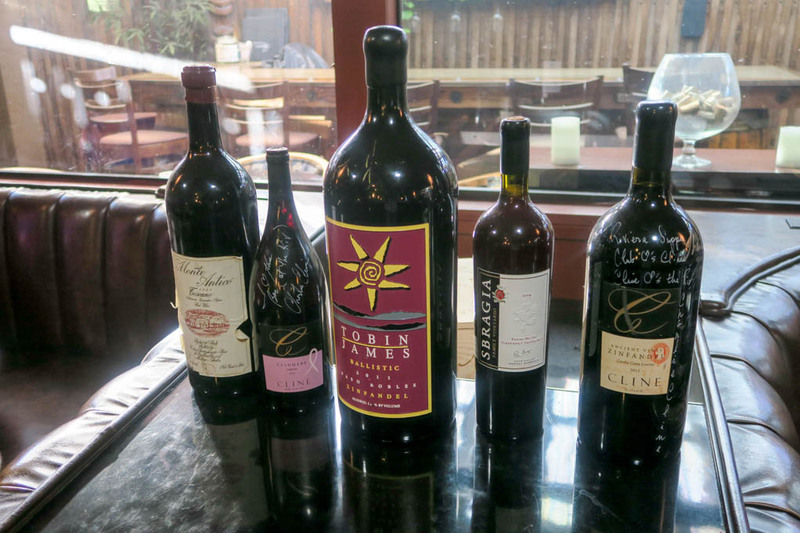 All of it blends to make it unlike any other steakhouse or supper club you have ever been to. It is why I have been here 4 or 5 times now. It never disappoints, always leaves me full, relaxed, and pleased. It’s going to do exactly that for you too! Good Eats Local await you! 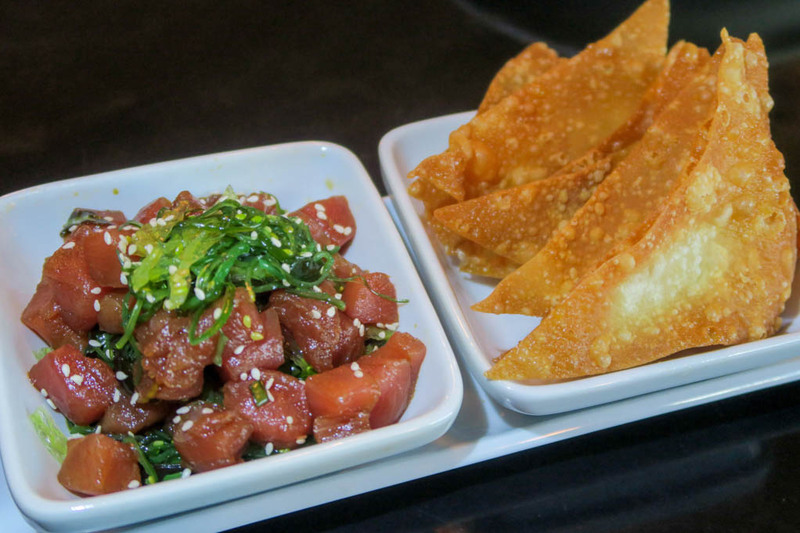 Sashimi-grade Ahi tuna tossed with fresh ginger, crushed red chilis, garlic and green onions on a bed of seaweed salad, with wonton chips.